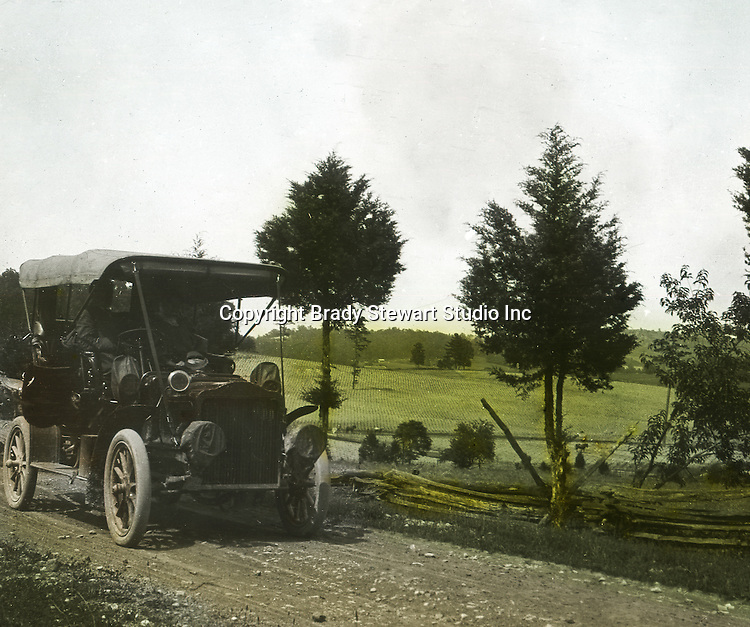 Greensburg PA: Brady Stewart and friends were out for a drive in his new Buick Model F - 1906. To give family and friends a better feel for the adventure, he hand-color black and white negatives into full-color 3x4 lantern slides. The Process: He contacted a negative with another negative to create a positive slide. He then selected a fine brush and colors and meticulously created full color slides.